Wim Ubachs was born in Amsterdam in 1956. He started his career in 1978 when he joined McCann Erickson as a copywriter. Seven years later, in 1985, he was appointed Executive Creative Director and Board Member of DDB Amsterdam and was a member of the International Creative Board of DDB Worldwide. 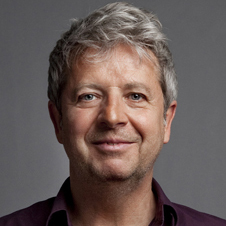 In 1990, he joined Saatchi & Saatchi Amsterdam, where he held the same positions. In 1997, he established his own agency, Ubachs Wisbrun. The agency was extremely successful and became part of the JWT network in 2007. In 2012, he started Het ei van Ubachs (The Egg of Ubachs), a small, independently operating agency. Ubachs has won numerous national and international accolades, including Effies, Clio Awards, Cannes Lions and Eurobest awards.